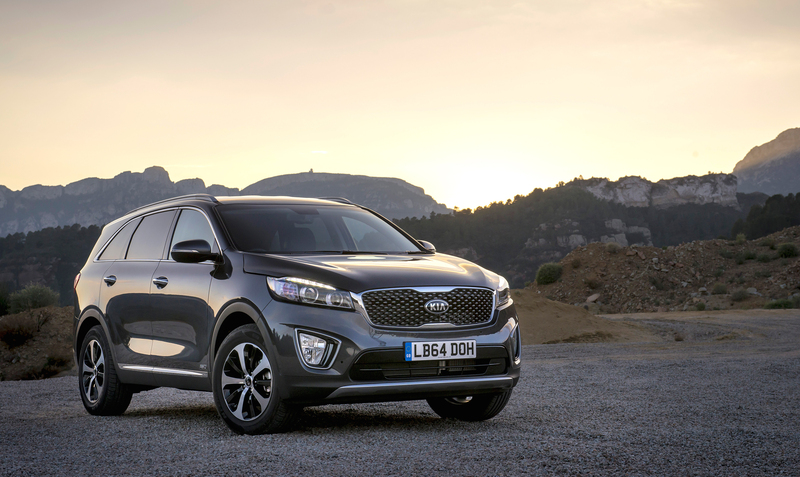 The new Kia Sorento has been unveiled and there are some big improvements in refinement, quality and engineering to help make this a true flagship for the brand. Kia has high hopes that this new Sorento will help push it upmarket as part of its brand transformation. Among the attractions for the revamped vehicle are a range of new technologies – some of which have never been offered on a Kia previously. Among the new kit is around view monitoring, blind spot detection, advanced smart cruise control, lane departure warning and rear cross traffic alert. There’s also adaptive front lighting too. There are seven seats on board the Kia Sorento which has improved fuel economy and reduced CO2 emissions. All models come with the same 2.2 litre turbodiesel engine which produces 197bhp and will go from 0 to 62 mph in nine seconds. Its top speed is 124mph. All the models now feature for firm’s ‘stop and go’ system to help boost economy though most models should return 50mpg. There’s also permanent all-wheel drive and a choice of either manual or automatic transmissions. Kia says that when the time came to redesign its Sorento, the designers had to choose between making the vehicle more gentrified or develop its highly valued towing and off-roading capabilities. The finished product is, says Kia, able to do both. When compared to the outgoing model, the new Sorento is not only longer and wider, it is also lower, has more room in the cabin and it’s also more versatile and practical. This is down to the new platform which has an extended wheelbase so there’s three rows of seats on board with plenty of room for those in the rear seats. The Kia Sorento has excellent offloading capabilities which are supported by an electronic stability control system as well as a hill start assist control system. There’s also an advanced traction cornering control which will help limit wheelspin by braking a wheel that needs it on corners. Kia have also added trailer stability system on all of its models which makes towing safer and utilises the electronic stability control system to monitor the trailer’s stability. If the vehicle senses the trailer is running out of control it will gently apply the brakes as and when needed. Kia really is aiming for the executive market and the list of standard kit is impressive with various models coming with panoramic sunroof, xenon headlights, 8″ touchscreen satnav and a power adjustable driver’s seat. There’s also very good premium sound system on board while other models get ventilated front seats and a smart parking assist system. It’s also worth noting that the Kia Sorento comes with the firm’s seven year or 100,000 mile transferable warranty. There are four trim levels and it is priced from £28,795. This entry was posted in 4X4 Car, Car Leasing, Car Updates & Releases, Cars, New Cars and tagged kia sorento, lease a new Kia Sorento by Steve Lumley. Bookmark the permalink.